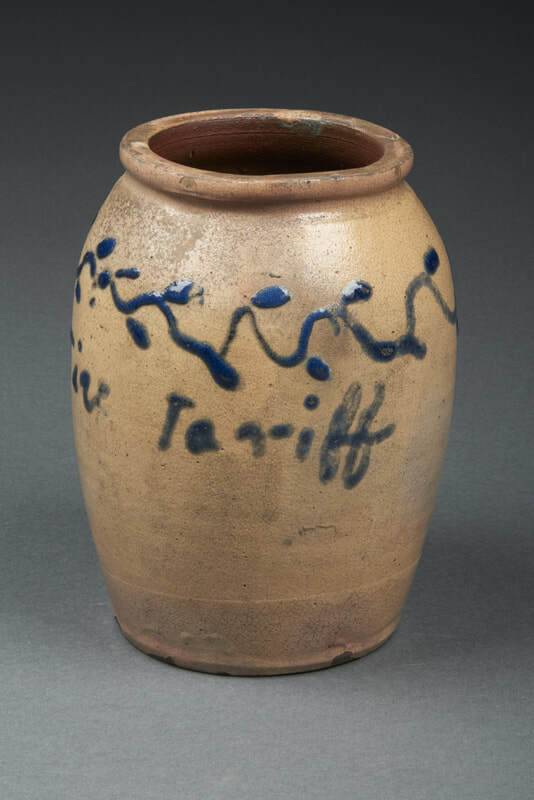 In 1842 the Whig administration passed an unpopular protective tariff act. 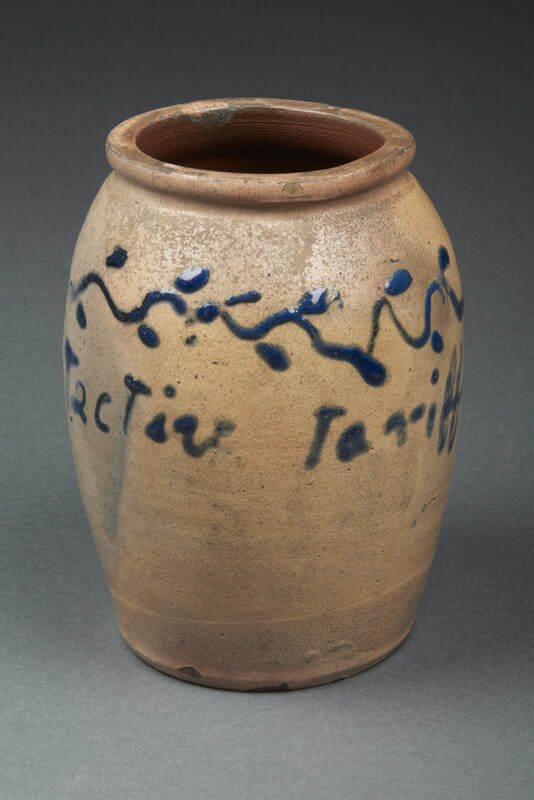 Ceramics scholars Don Horvath and Richard Duez suggested the attribution of this jar based on a signed salt-glazed jar by William Critchfield bearing “Home manufacture. Independence. High tariff. William Crihfield. 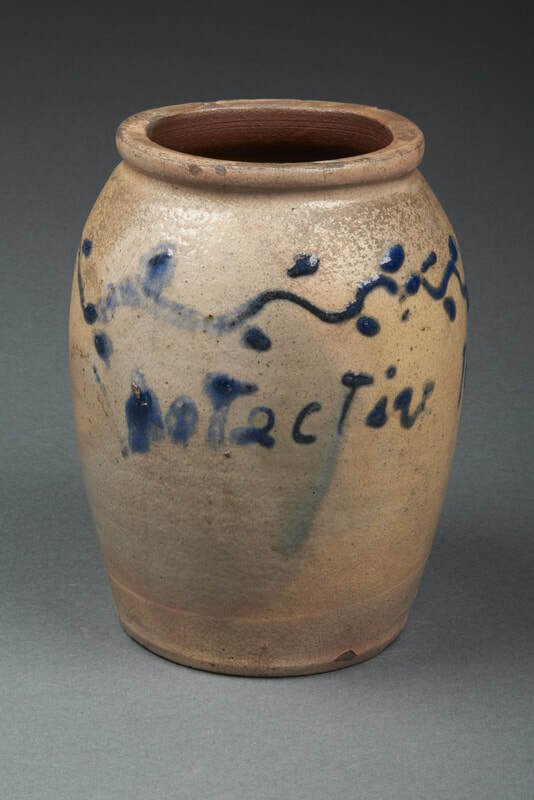 August 1844.” (See: Ceramics in America 2004, “The Potters and Pottery of Morgan's Town, Virginia: The Earthenware Years, Circa 1796-1854”).